Daniel Cormier said in the run-up to his bout with Jon Jones that he would be willing to die to defend the UFC light heavyweight title, but it took much less to force him out of the main event of UFC 197. News broke on Friday that Cormier suffered a leg injury during training that would keep him from competing at the end of the month. 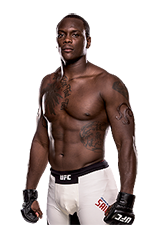 That vacancy created a huge gap at the top of the card, and UFC matchmakers went to an unexpected contender to fill the void in Ovince St. Preux. Jones is a heavy favorite heading into this fight, but a closer examination shows that this is still a somewhat compelling bout. There are a number of elements that make Jones a special fighter. His striking has never been spectacular, but his combination of range and technique are enough to keep opponents away from him and frustrated. Numerous examples exist that show Jones’ ability to stay behind his straight punches and land body kicks that control distance. Even more worth noting is the way he mixes in wrestling at the right moments and at an immensely effective rate. 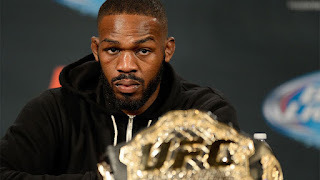 Jones is a unique mixture of talent and technique that has created what many believe to be the best fighter in the sport. In “OSP,” Jones will face a competitor that will look to negate his takedowns just long enough to land a massive blow. Jones hasn’t thus far shown the type of punching power that puts opponents away, nor has he ever rocked an opponent with one shot. Instead, he uses a style based on attrition which creates opportunities for him later in fights. 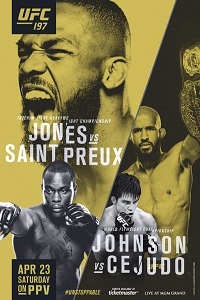 This makes for a dangerous situation for Jones if he finds himself in a back and forth exchange with St. Preux, particularly early in the bout. 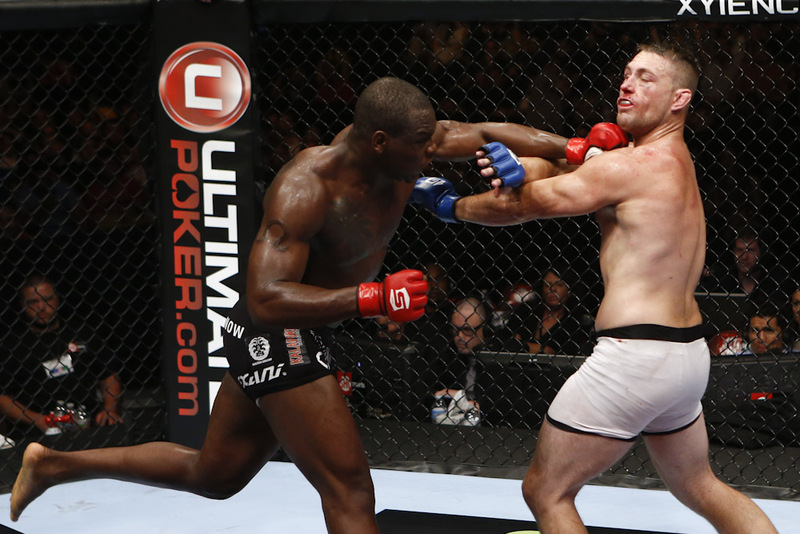 During his UFC tenure, OSP has secured three of his nine Octagon wins by knockout. However, every time he steps into the cage he’s shown a willingness to exchange with the man standing in front of him. The men that have found a way to defeat St. Preux did so with heavy doses of wrestling to get him to the floor and wear him down for the majority of their bouts. Jones averages 2.3 takedown attempts per 15 minutes of competition, so everyone should expect a healthy dose of wrestling, especially if this fight goes into the fourth and fifth rounds. OSP has struggled with the takedown abilities of both Ryan Bader and Glover Teixeira, so it will be interesting to see if he’s prepared to stop Jones’ takedowns at any point in the fight. Adding Ovince St. Preux to UFC 197 allows Jones to stay on the card in a bout against a viable opponent who was moving up the 205-pound rankings. 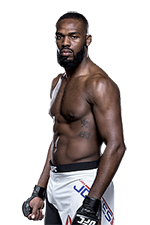 However, OSP’s skill deficiencies in key areas create a number of holes that Jones will exploit en route to a decision victory in his much anticipated return to active competition.